There is no point in promoting a product and/or service that your customers do not appreciate, or even worse – do not need. Going through the customer-centric and market-driven approach helps you create a solid brand and marketing promotions strategy that your target market will embrace and find value in. This kind of approach ensures that you are in sync with how your target market thinks, feels, and behaves. It makes more sense to craft your strategies when you have mastered the art of getting to know your target market in ways you have never explored. It is never too late to understand how and why your target market is, instead of ending up wondering why things did not work out the way you envisioned it to be. Join us this August 14th for a workshop on how you can beef up your game! The Natural Shelf Managing Director & ABS-CBN Bayan Academy Grassroots Enterprise Managemet Program Business Mentor. Riva is an entrepreneur and wellness advocate, the only daughter of former Health Secretary Dr. Jaime Z. Galvez Tan, MD, MPH. Aside from managing her company and working on her advocacies, she is currently one of the mentors of ABS-CBN Bayan Academy Grassroots Enterprise Management program whe she shares her time and knowledge to micro-entrepreneurs who need help in their respective business ventures. 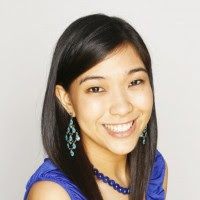 Armed with the lessons learned from her experience in business coupled with the insights she gained while taking up her Masters in Entrepreneuship in Nation Building Program (MBA Equivalent for entrepreneurs), she also devotes her time teaching Business Planning and Business Opportunities to undergraduates in Enderun Colleges. Riva is an APO grantee of the Forum For Promoting Entrepreneurship in Asia held in Tokyo Japan.